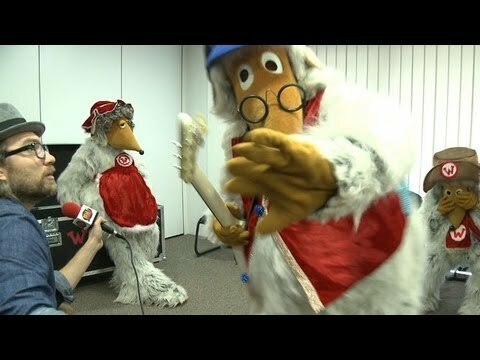 The Wombles band took a trip to London on 21 November to kick off the publicity for The W Factor and Wombling Merry Christmas. See the Twitter comments, photos and videos from people who interviewed them, filmed with them, or just happened to spot them! We're out in London tomorrow doing promo for our single. Should be fun. Tomsk and Tobermory can't come, they're "looking after the shop"
Errrr… I'm not going mad, a Womble in a Santa outfit really did just walk through our office!! Thank you for coming into the @officialcharts office @womble_hq! The video interview will be on our site next week! 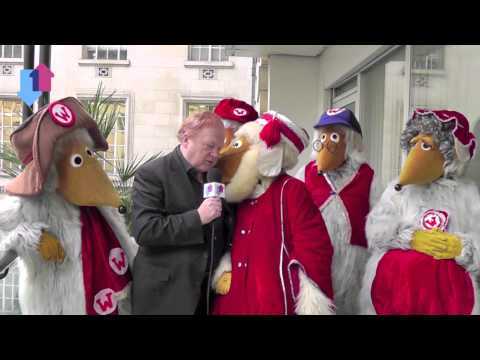 With the Wombles on Dodg'em cars under County Hall for PR filming. 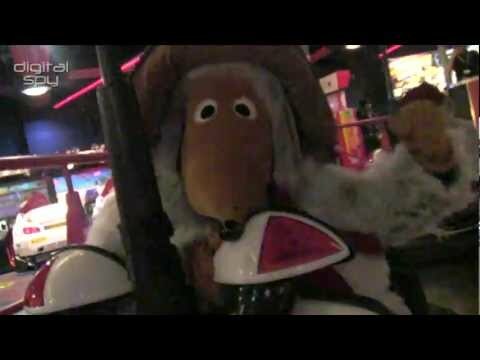 I have just been on the dodgems with Wombles. Fender bendered Uncle Bulgaria. Congratulations to @Jill_Adams_ – the photo was taken outside the @officialcharts office. You have won a copy of The W Factor! Nice Wombles day out summary from the brilliant Tidy Bag!